To be interested in food but not in food production is clearly absurd! …Wendell Berry, American environmentalist, a Poet and a Farmer. Vegetarian cookery involves preparing food by using cereals, grains, lentils, vegetables, fruits, soya, tofu, seeds, spices, herbs, and nuts. Animal products such as milk, curd and honey are also used in this cookery. Vegetables are very important ingredients in various cuisines around the world. Vegetarian cookery provides a wide range of eye-pleasing colors, texture, fiber, and vitamins. It also provides low calories as compared to non-vegetarian cookery. They are the seeds obtained from various grass plants such as Wheat, Rice, Barley, Ragi (Malt), Jowar, Bajra, Maize, and Millet. In most of the countries, they are consumed as a part of staple food. They are the seeds obtained from vain and shrub plants such as peas, Bengal Gram, Horse Peas, Chick Peas, and Indian Beans. They have an important place in vegetarian staple food consumed around the world. They contain carbohydrates. They contain protein. They are found as spikelets. They are found inside pods. They are grown in larger quantities. They are grown in smaller quantities as compared to cereals. They provide energy. They provide muscle strength. Cereals are either roasted or made to flour. There are numerous ways in which cereals are used in cookery. Take a look at the following table. Its flour is used to make bajra rotis. It is ground to make fine flour, which is used to make Jowar rotis. Maize or dried corn nibbles are used to make popcorn and maize flour. The flour is used to make bread and porridge. Oats are used as low calorie breakfast food all over the world. It is red millet rich in calcium and iron. Its flour is used in soups and gravies. It is cooked and used in rice based dishes. Rice flour is used for pancakes and dumplings. Wheat flour is used in making various types of breads, broken wheat is used for making porridge, and finely broken wheat (semolina) is used to make snacks and desserts. The beans need to be cooked before consuming. Beans can be soaked in water to bring out sprouts, which are very healthy food. Beans can be used in direct/husked/split forms too. There are numerous ways in which the beans are used in cookery. The cooked beans are mostly used in curries, gravies, and salads all over the world. Brazil and West Africa − Mashed to prepare Akara, a fried bean cake. It is native to and consumed in India. North India − It is consumed as cooked beans curry. South India − the split and husked version of Urad is used in preparing Vada, Idli, and rice pancakes. They are used in the following cuisines around the world in stews, gravies, curries, tofu, and salads. Cooked chick peas are used as snacks. Chick pea flour is also used in desserts and snacks. India − used in spicy curries and snacks. Arabic − Pasted to make a spread, Hummus. Portugal − used in Rancho. Italy − chickpea flour is used in Faranita, a pancake. Israel − used in falafel. It is mostly cultivated and used in coastal region of Maharashtra state in India. Its gravy with coconut and spices is consumed with rice. It is native to the Indian subcontinent, and mainly cultivated and used in India, China, and Southeast Asia. They are consumed around the world as a part of breakfast, snacks, and main meals. India − used in spicy mixed vegetable stew named PaoBhaji, and spicy rice called Mutter Pulao. Phillipines & Malaysia − roasted and used as snacks. They are spiced with chilies and coconut milk. They are consumed in stews and curries in India. The cooked beans are used in salads, gravies, and curries. India − Spicy beans curry paired with rice in northern region. They are mainly consumed in India. They provide creamy texture and dramatic presentation to the dish. It is native to South Asian subcontinents. It is consumed in Rajasthan, Gujrat, and Maharashtra states of India. It is sprouted before consumption. It is a staple food component in south Asia, mainly India. It is used in typically husked and split form, seasoned with spices, and eaten with flatbreads or rice. They are used in America, Europe, and Asia. They are cooked and paired with rice/pasta/salads. They are very fast to cook. They are used directly or in split form in Indian cuisines. The vegetables are an integral component in stews, soups, gravies, and curries. They are best when consumed cooked. Some vegetables such as sun-dried tomatoes are used in Italian cuisines. To make pickles, vegetables are often for longer shelf life. Vegetables are often used not only in fresh form but also in dried or pickled form. In vegetarian cooking, vegetables are the prime ingredients. Let us see their classification on the basis of their place in the context of plant structure. They are the leaves of the vegetable plant. They can be either consumed directly or cooked. They can be used in salads for direct consumption, in gravies, soups, and other foods. They have short shelf life, say a couple of days. 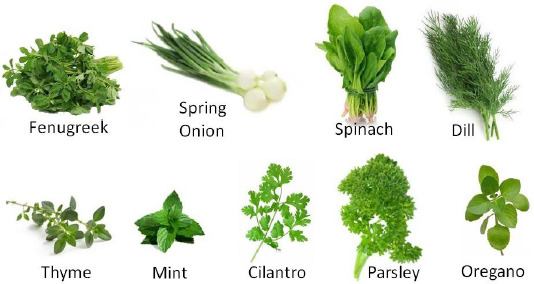 For example, fenugreek, spinach, dill, curry leaves, cilantro, parsley, mint, oregano, thyme, basil, and leeks of onion and garlic. These vegetables may have pests on the back of their leaves. Hence while selecting the fresh and good quality leafy vegetable, the buyer needs to be careful. In addition, they must be cleansed thoroughly before using to wash off any pesticides present on the leaves. They are the roots of the plant. For example, Radish, beet root, turnip, Malanga, and carrot. They can be consumed raw or cooked after cleaning off the soil properly. Root vegetables must be preferably peeled before using. They are used for preparing stews, side dishes and salads. They are the useful stems of the plant and have high quantity of mass. They can be cut, chopped, or diced. They can be consumed raw or cooked. Their shelf life is longer than leafy vegetables but shorter than bulb vegetables. 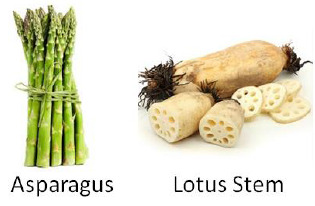 For example, Asparagus and lotus stem. The North Indians use lotus stem in pickles. Tuber vegetables are the swollen part of the stem that grows underground. Potatoes are used all over the world in a wide range of cuisines. Fresh ginger and turmeric are used to prepare pickles and pastes. For example, Potato, Ginger, Turmeric, and artichoke are some of the stems, which grow underground. 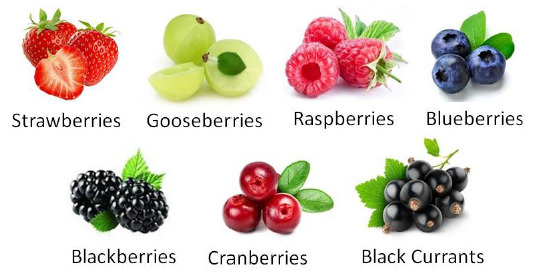 They are the fruits of a plant and are called culinary fruits. They grow in large quantity. Some of them can be eaten raw and rest all need cooking. They need to be cleaned, cut into pieces, and grilled or cooked for consumption. The chefs require to pay extra attention while cutting for the presence of any pests inside these vegetables. 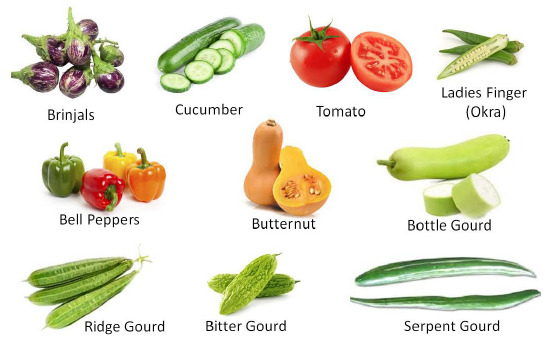 For example, Eggplant, green chilies, coconut, Ladies finger (okra), tomatoes, cucumber, various types of gourds, pumpkin, and various colored bell peppers (capsicums), drumsticks. Fruit vegetables are used to make stock, soups, and stews. They are prominently the bud part of their plant. 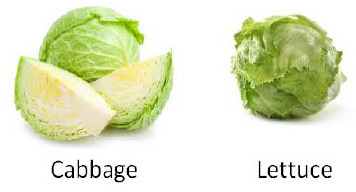 For example, Lettuce and cabbage. They appear as if unopen or bloomed at the time of their harvesting. They are mostly consumed directly. Lettuce is used in sandwiches and salads. Cabbage is an important ingredient in South Asian cuisines. A bulb is an underground part of the plant where nutrients are stashed. These bulbs are one of the main ingredients in cookery. They are used to flavor soups and stews. They are also used in seasoning various dishes. They have longer shelf life than any other type of vegetable. For example, onion and garlic. They are the flowers of vegetable plant. They are cut into pieces and cooked to make stews. They also need thorough washing to remove the pests or tiny insects. For example, Cauliflower, Broccoli, Moringa (Flower of drumstick plant), Artichoke. Commonly used fungi is mushroom. They are consumed as staple diet all over the world. 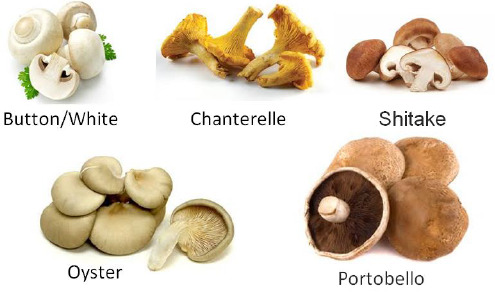 There are many types of edible mushrooms with various shapes and colors. Mushrooms are also used in preparation of sauce. The fruits are dominant ingredient in fruit salads, smoothies, desserts, and gravies. They are best when consumed ripe and fresh. In Asian subcontinents, some fruits like raw jackfruit and papaya are cooked into stew. Raw bananas are used to make crispy chips. Raw mango and ripe tamarind are dried and powdered to use in Indian kitchen. Sweet fruits and berries are preserved in sugar syrup to increase their shelf life. They are also used as ingredients in dessert preparation. 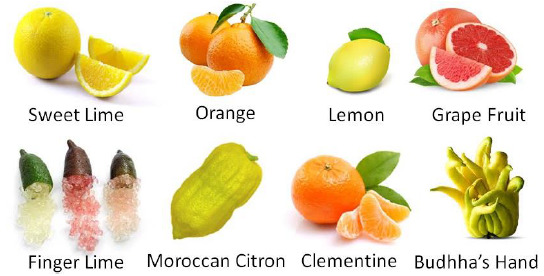 Fruits can be divided into the following categories depending on the context of their culinary prospects. They are mostly hard in raw form and become tender when they ripe. These fruits yield soft pulp of thick consistency when crushed. The pulp is often used in preparing desserts, cakes, tarts, pies, candies, ice creams, and smoothies. 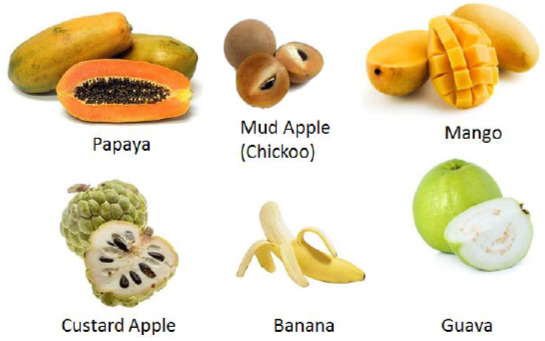 For example, Mango, Papaya, banana, muskmelon, pineapple, custard apple, wood apple, mud apple, kiwi, fig, passion fruit, apple, pear, and plum. Some pulpy fruits such as fig and passionfruit have small soft seeds, which bring crunchiness; but some fruits like guava and wood apple contain multiple small and hard seeds. Such seeds need to be separated while getting pure pulp of the fruit. These fruits give juice of thin consistency when squeezed or crushed. The juice is strained to separate any small fruit particles left while crushing. The clear juice is then used for sorbets, mocktails, and organic colored ice cubes. Juices are combined with corn syrup and sugar to prepare juice drinks and fruit nectars or nectar blends. They are fruits with no water content. Their water is removed by either natural or artificial method of drying. They shrink with mild change in color after drying and have longer shelf life than fresh fruits. For example, Raisins are made by drying good quality grapes. 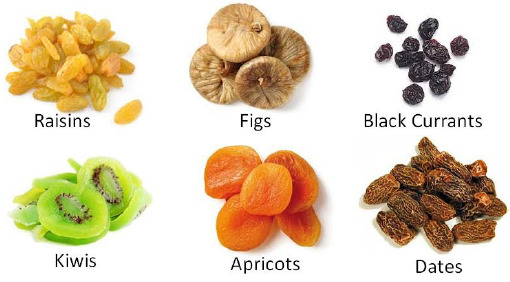 Dried Apricots, Figs, Kiwis, (Prunes) and Dates are the most common varieties of dry fruits. Dry fruits are used in ice creams, and healthy milk based cold drinks. They are best paired with chocolates and cakes. They are used in preparing desserts and presentation of food. Stock is a flavored liquid obtained by boiling vegetables in water or other liquid such as wine. It is the basis of soups and sauces. In classic vegetarian stock preparation, the chef often simmers portions of vegetables such as carrots, onions, garlic, pumpkin, and celery (often called mirepoix) accompanied with a small porous bag of cotton that contains spices or herbs. The aroma of spices or herbs is introduced into the stock enhancing its flavor. The stock preparation is started with immersing pieces of desired vegetables into cold water and boiling them on low flame slowly. The stock is boiled for 20 to 30 minutes. Once it reaches room temperature, the stock is stored in a container without adding salt. Its shelf life can be 3 to 4 days if stored in the refrigerator. The shelf life can be extended by boiling it again. The difference between the stock and the broth is that the broth is served as a finished dish whereas stock is the base for further cooking. Also, the stock does not contain any solids but the broth may contain vegetable pieces or noodles. It is a see-through watery soup without pieces of vegetable or noodles in it. This soup can quench hunger and fulfil the requirement of liquid in the body. It is a good appetizer. It is thickened by use of roux, rice flour, potato starch, or cream. These agents blend well with other foods. The thickening may vary depending upon the agent used. Use of a roux creates a smooth and even texture. The roux is cooked along with the longer-simmering vegetables until the desired color is reached. Then the stock is added slowly by stirring constantly to avoid lump formation. As the soup warms, it thickens. It is prepared by cooking starchy or leafy vegetables in the stock and pureeing the ingredients finely. It generally does not require thickening agent. Borscht − It is a soup prepared from beetroot puree from England. Faki Soupa − Red Lentils + onions, parsley, and carrots + olive oil + tomato sauce. It is from Greece. Gazpacho − concoction of bread, tomato, bell pepper, garlic, olive oil, salt and vinegar. It is a Spanish soup. Ginataan − Made of coconut milk, from Philippines. Sambar − A South-Indian soup made of pigeon peas + vegetables + tamarind pulp + spices. Sauce is a liquid, semi-liquid, or creamy food cooked by blending multiple foods. Sauces are essential culinary components all over the world. Sauce coats the food such as pasta or bread. It enhances the taste and moisture in the main food. Their tempting bright colors also add visual appeal to various dishes. Bechamel − Blend of Roux and milk or cream. Veloute − Roux + White Vegetable Stock. Espagnole − Roux + Brown Vegetable Stock + Butter + Tomato Puree. Tomato − Roux + Tomatoes or tomatoes pureed and thickened on heat. From these basic sauces, a chef can make hundreds of various sauces to dress or compliment the dish. Rujak − Palm sugar + peanuts + tamarind pulp + chilli. Salsa − cooked tomatoes + bell peppers + onion and garlic + fresh cilantro. Wine Sauce − White/Red/Burgundy wine + mushrooms + spices. Mustard Sauce − Husked mustard seeds + Egg + Vinegar + Pepper Powder. Blue Cheese Sauce − Butter + Milk + Chopped Blue Cheese. Salad is an important part of the menu. Salads are considered as a separate course during fine dining. Vegetable salad is prepared by combining shreds, slices, or stripes of salad vegetables such as tomatoes, celery, cabbage, lettuce, onions, carrots, and cilantro, often pairing them with flavorful salad dressings. Various versions of veg salads can also be prepared using contain cubes of Tofu or Cottage cheese, bean sprouts, cooked beans, olives, boiled sweetcorn nibbles, diced fruits, dried fruits, and citrus fruit juices. For example, Green salad, Carrot-Raisin salad in orange juice, Coleslaw are some famous salads.